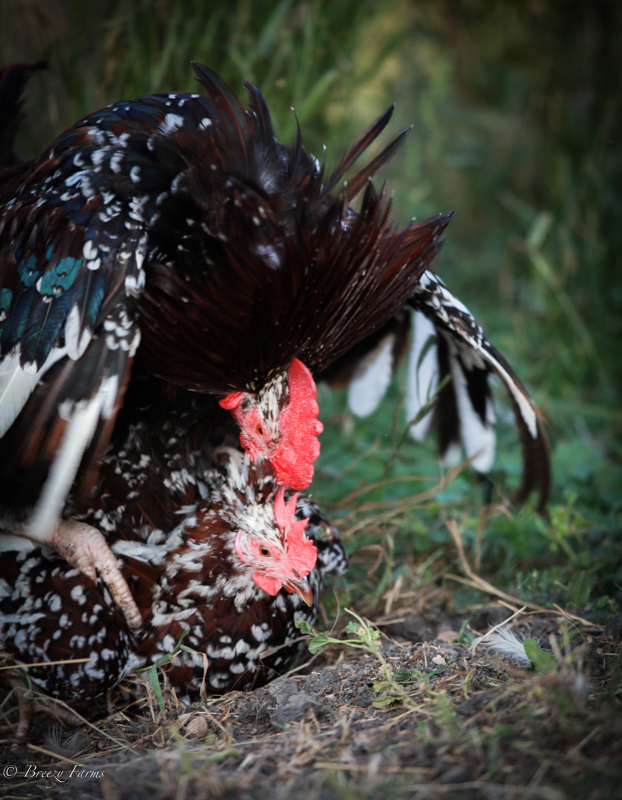 A Large dual purpose fowl that originated from Sussex, England. There are 9 recognized varieties. An alert docile breed that adepts well to any surroundings, however they will mate and breed better in larger spaces rather than in confinement. You can expect up to 260 eggs per year. Hens can go broody in the warmer months. Hens lay large light brown eggs. The sussex is a good producer of meat. Chicks grow quickly for a heavy breed, however the lighter varieties do grow faster than the darker. Cockerels can be harvested at 6 months of age. Cockerels are approx 9lbs and hens 7.5 lbs. at harvest. 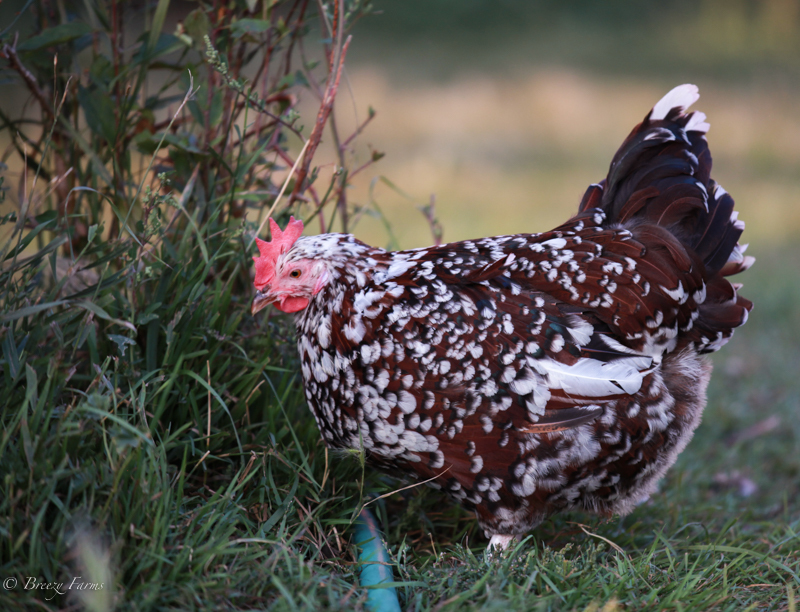 We carry the Coronation and speckled varieties.